Hungry for Huckleberry Pie, Venison Stew, or Fresh Greens? Come to the Wild Foods Potluck Nov. 2! Do you have some extra huckleberries lying around? Or perhaps a bit of venison you’re not quite sure what to do with? 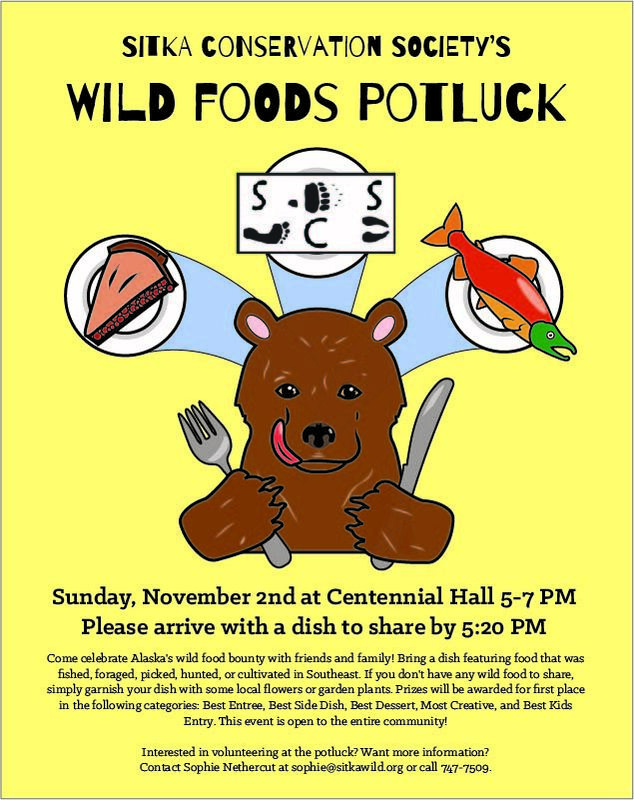 Well, we’ve got a solution for you: Prepare a dish for the Sitka Conservation Society’s Wild Foods Potluck! 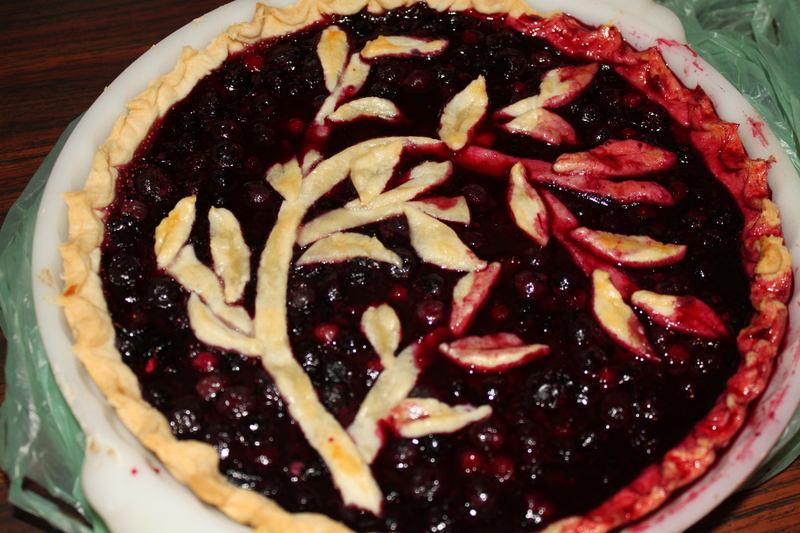 The Wild Foods Potluck is an annual event that celebrates the wild foods of Southeast Alaska. 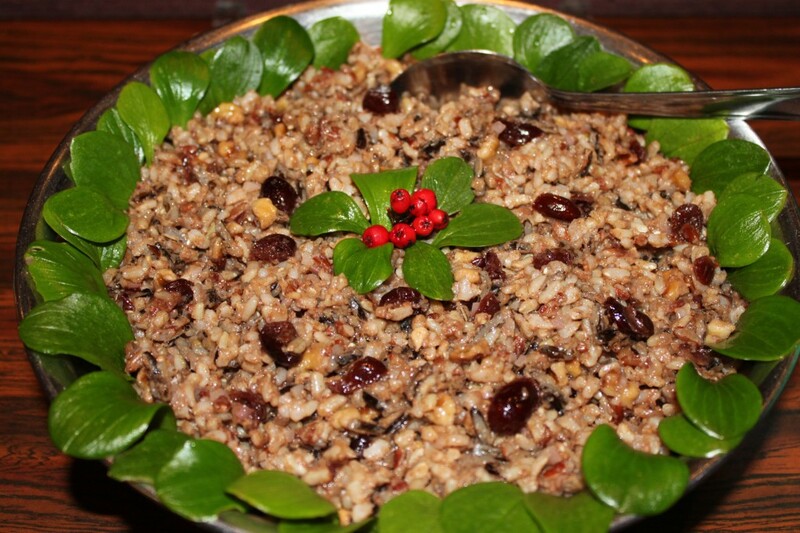 Each person or family is asked to bring a dish that incorporates a wild or local food. The event is hosted by the Sitka Conservation Society, an organization that has worked to protect Southeastern Alaska and the Tongass National Forest since 1967. When / where is it? Stand Up to Corporate Influence! 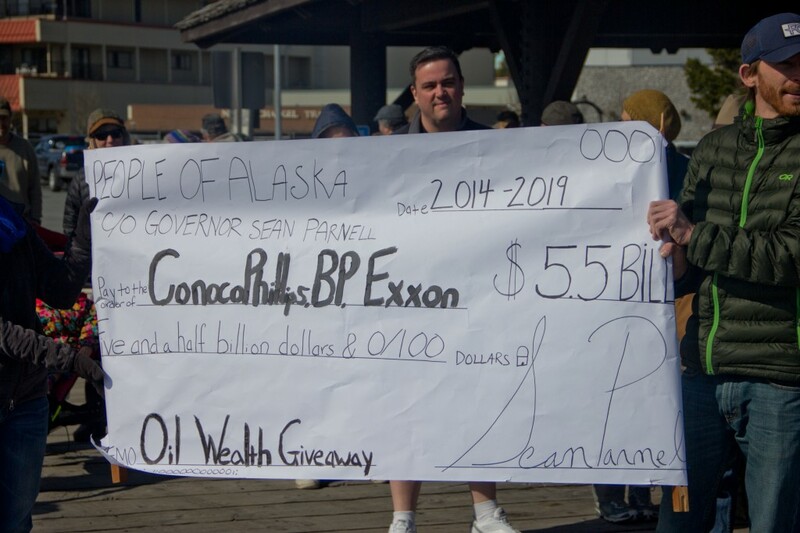 Sitkans hold a fake check made out to ConocoPhillips, BP, and Exxon at an SB 21 Rally on April 4, 2014. This year’s primary election was one for the record books. Financial record books, that is. Over the last few months, Alaskans witnessed the most expensive primary campaign in state history. Where is all this money coming from? Corporations. And not just any corporations – some of the richest corporations on earth. In order to secure their billion dollar tax break, oil companies contributed nearly $15 million to the Vote No (on Ballot Measure 1) campaign. According to campaign finance reports published by the state of Alaska, the top six contributors to the Vote No campaign were BP Exploration Alaska Inc. ($3,625,408), ExxonMobil ($3,606,132), ConocoPhillips Alaska ($2,541,584), ConocoPhillips ($1,471,077), Repsol ($729,432), and Chevron ($300,000). Less than 25 individual Alaskans contributed to the campaign. The Vote Yes campaign, on the other hand, received financial contributions from over 1,000 individual Alaskans. The troubling statistics continue. 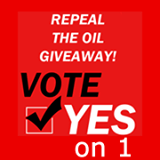 Stockpiled with big oil money, the Vote No campaign spent $170 per vote. The Vote Yes campaign, which relied primarily on contributions from individual Alaskan donors, spent $8. This is an example of corporations asserting undue influence in the political process. In a country that calls itself a democracy, corporations should never be allowed to pay their way into the political system. In Alaska, however, they are. How do we stop corporations from dominating Alaska politics? We stand up to them. We use our individual and collective voices. We form coalitions and citizen movements that demand corporations to serve the public good, not the Gods of Profit. Leading up to the primary election, the Sitka Conservation Society mobilized Alaskans across the state to take action on Ballot Measure 1. We made phone calls, knocked on doors, distributed lawn signs, and had meaningful conversations with community members about what’s at stake when corporations dominate our political system. Many Sitkans voiced their concerns about SB 21 via radio waves and newsprint. A giant thank you to Steve Paustian, Mary Beth Nelson, Cindy Litman, Libby Stortz, and Anthony Guevin for submitting Letters to the Editor about the importance of repealing the oil tax giveaway. Our efforts paid off. While the repeal failed statewide (52.5 percent of Alaskan voters voted No), Sitkans voted 3:1 in favor of the repeal. On Election day, some 1,315 Sitkans checked the “yes” box, compared to only 448 people who checked “no.” Every single precinct in the district voted in favor of the repeal. What do these results reveal? They show us that we Alaskans are deeply divided on how we should manage our natural resources. They show us that thousands of Alaskans (90,150 to be exact) are willing to vote for oil company tax breaks, leaving less money for the state to fund public schools, hospitals, and necessary public services. But they also show us that thousands of Alaskans (nearly 82,000 voters) are deeply concerned about the excess role corporations play in the management of our natural resources. The oil in our state ground belongs to the people of Alaska. We, the people of Alaska, must continue to mobilize against corporate oil giants that take our oil without investing in our state. Join us in our campaign to fight corporate influence and keep our natural resources in public hands. To get involved or receive more information, email sophie@sitkawild.org or call 907-747-7509. Corporate spending in Alaska’s 2014 primary reached record levels. The Vote No campaign spent $170 per vote, compared to the Vote Yes campaign which spent $8. 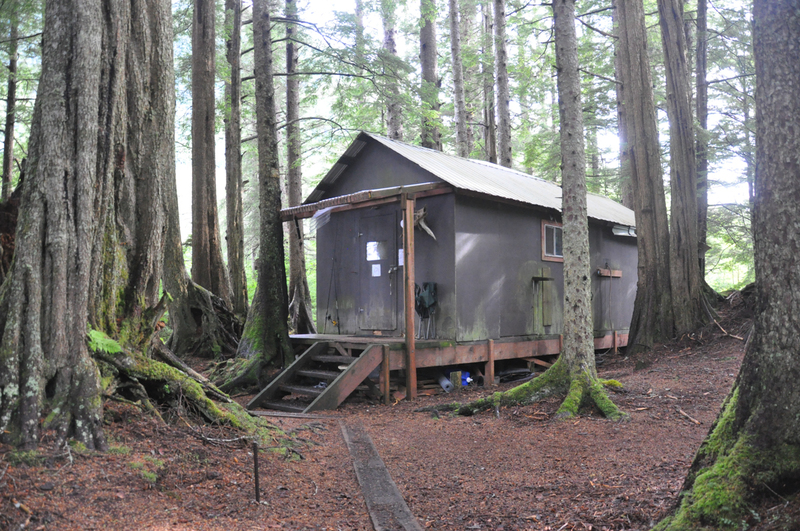 If wilderness, as its definition attests, is supposed to stand “in contrast with those areas where man and his works dominate the landscape,” then the Kootznoowoo Wilderness of Admiralty Island is serving its purpose well. To camp on the island with the highest density of brown bears on the continent and kayak through waters in which humpbacks are breaching and gray whales flapping their flippers, it’s hard not to feel humbled as a human, and concede that there are areas of this earth where man does not, and should not, hold sway. The migration of salmon swimming upstream; the beautiful, yet haunting, call of a loon; the sight of an undisturbed doe resting on the beach – upon witnessing all these simple joys not manufactured by humans, how can one not agree that there are places on our planet where the rest of nature should dominate? Lunch spot with a view! SCS coworkers Mike Belitz, Bethany Goodrich, Sarah Stockdale, and myself spent the last week of August checking up on the Kootznoowoo Wilderness Area of West Admiralty Island. 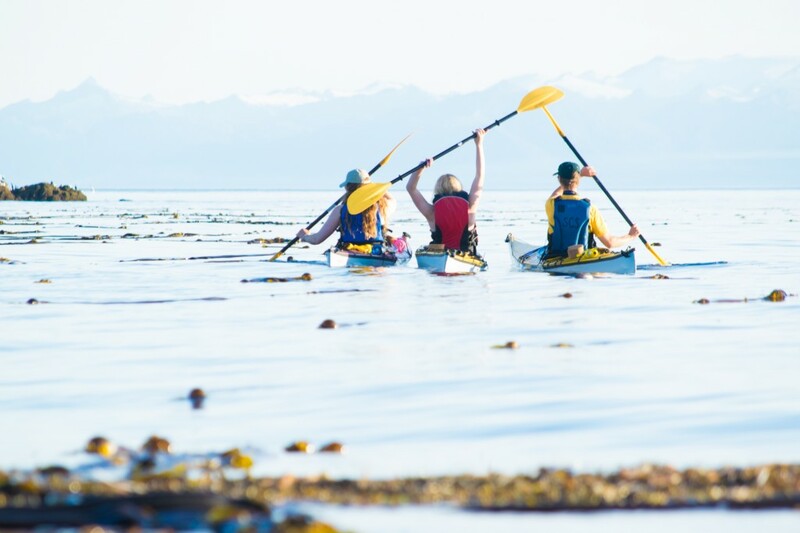 Kayaking the coastline of Hood, Chaik, and Whitewater Bays, the majority of our time was spent surveying for invasive plants and monitoring visitor use patterns, ensuring that the “untrammeled” character of this land was being well preserved. Wilderness, like all public land, is a shared space. But it’s also, for many, a symbolic and sacred place. A big part of our task was thus making sure that, 50 years out from the passage of the Wilderness Act, and 34 years out from the 1980 designation of this particular wilderness area, the sanctity of Kootznoowoo was still intact. Not all people would agree with the above assertion though. In his (in)famous article, “The Trouble with Wilderness,”published over twenty years ago, the renowned environmental historian William Cronon critiqued this tendency of people to view nature as sublime, considering it a perspective of the overly romantic. Quoting Muir on Yosemite and Thoreau on Mount Katahdin and Wordsworth describing the Simplon Pass, Cronon writes that “all three men are participating in the same cultural tradition and contributing to the same myth – the mountain as cathedral.” He argues that by using such religious rhetoric to describe these spaces, we’ve abstracted wilderness, transformed it into a concept merely fit to serve our cultural and emotional needs. Thus, to him, seeing God or something spiritual in nature is a problematic aspect of how humans have historically and continue contemporarily to conceive of the outdoors. Twilight kayaking through Hood Bay. But I disagree. To me, using such spiritual speech isn’t a romanticization or abstraction of the wilderness as much as it is an expression of the awe, reverence, and humility that these men, among many others, have felt in nature. Shelton Johnson, a park ranger featured in Ken Burns’ National Park series, may have communicated it best when he said: “When I think of a grove of giant sequoias, I think of a cathedral, or a church, or a place where you’re not necessarily worshipping the name of something, but the presence of something else. There’s no need for someone to remind you that there’s something in this world that is larger than you are, because you can see it.” In other words, the outdoors is space in which we as humans cannot be deceived into thinking we are infallible, and almighty, and always at the top of the totem pole. It’s a space where we are forced, with what’s before our eyes, to see our vulnerability, and co-dependence, and reliance on existences and processes bigger and beyond us, be those scientific, spiritual, or both. So, despite Cronon’s objections to it, I think there is something apt regarding the religious language often used to describe wilderness. Man’s place in and relation to nature, and wilderness in particular, has always been difficult to define. A hotly contested question, my definition will have no more claim to conclusiveness than any other. But it’s always made sense to me to think of wilderness as a religion with many churches, a religion with many places and manners of worship. Like any church or synagogue or mosque, it’s a space deserving of respect, where there are some rules as to what you can and cannot do, and some strictly defined parameters. But within those, there is also the freedom to make meaning and find inspiration as you wish. It’s a place where people can go for different purposes and pursuits, but, regardless, it should be treated with the deference and due regard you would accord your own or someone else’s place of worship. As we face growing environmental challenges and crises in the 21st century, having such humility and respect for the temple of wilderness, for these places untrammeled by man, for these spaces in which we do not dominate, will, I think, only serve us well. Thank you to everyone who has kept up with SCS’s wilderness program this summer and read along with the blog posts. Your support has meant a lot. 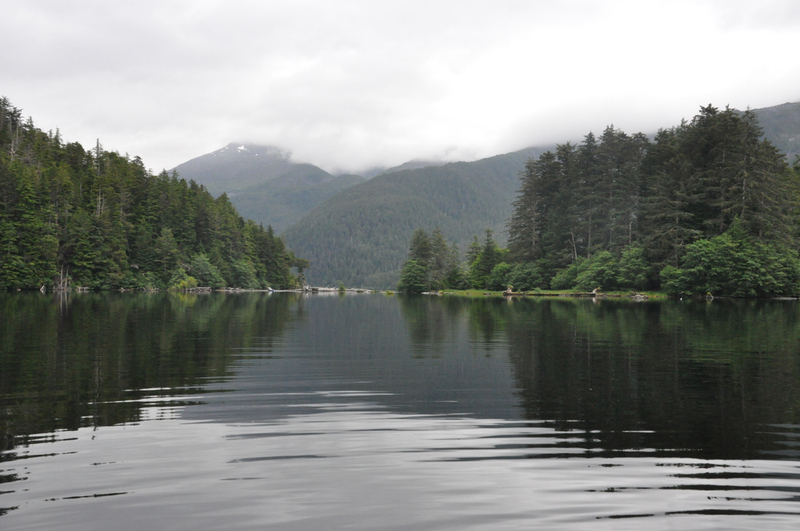 The Tongass National Forest is entering a new era with a focus on young growth management and a more robust and cohesive approach to balancing the social, economic and ecological needs of the region for current and future generations. The task is daunting. However, the Forest Service is not alone. Developing and strengthening partnerships helps leverage funding, build capacity, and better integrates local knowledge and community priorities into management and project design. Navigating through the complex steps necessary to realize partner-rich projects on the ground is also daunting and complicated. However, success stories sprouting up across the region are a powerful reminder that it can be well worth the effort. 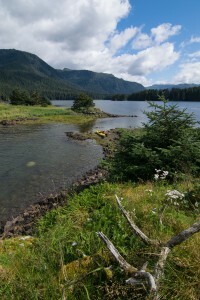 The work carried out in the Kennel Creek watershed is one such story and elements of this project can serve as a valuable template for future work on the Tongass. This map reflects the community group’s vision of balancing fish and wildlife habitat with maintaining timber opportunities for local mill operators. Located on North Chichagof Island with a population of around 780, Hoonah is a remote community with over 60% Alaska Native population. Like other rural communities in the Southeast, a contentious history of resource extraction on public and private lands continues to influence community dynamics. After the pulp industry ended, career prospects in the timber industry evaporated and many families were left jobless, with high energy prices and other burdensome expenses associated with living in an isolated rural community. Much of the surrounding landscape on which residents depend on for subsistence, recreation and cultural vitality has been affected by timber activity and needs to be restored. The challenge of balancing natural resource based economies with ecological resilience and cultural well-being remains an unsolved puzzle. However, the fervor of community members and their dedication to the prosperity of their community and the landscape in which they are embedded is firm. Brought together by a common interest in improving productive fish and wildlife habitat while supporting local economies, a diversity of community members gathered to map out a vision for their forests and streams in 2005. 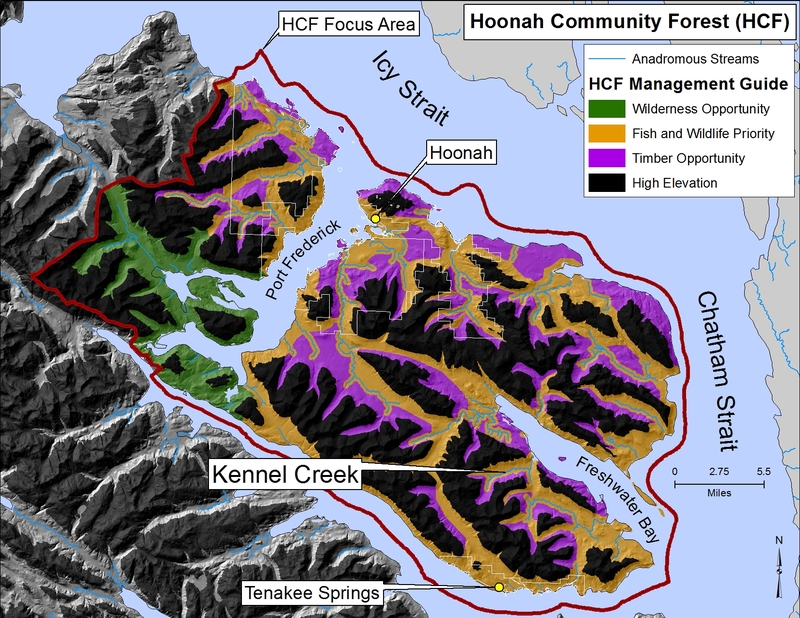 During the Hoonah Community Forest Project, traditional land users, local mill operators, hunters, fishermen and naturalists partnered with the Southeast Alaska Conservation Council to develop this vision. Kennel Creek was recognized as a top priority watershed for habitat restoration. Members voiced concerns about the ecological impacts of past timber extraction and sought treatments that could restore deer habitat and improve overall watershed health. Importantly, the group wanted to achieve these goals while also developing local capacity for land management. Turning this collective vision into a reality would require a level of cooperation and partnership new to the Tongass. In the aftermath of the the timber-boom era, Congress introduced ‘Title II’ funding to the region and established community led Resource Advisory Committees (RAC) to disburse funds to rural towns that had relied on receipts from timber sales for public services. The intention of these funds is to “protect, restore, and enhance fish and wildlife habitat; improve the maintenance of existing Forest Service infrastructure; protect and enhance ecosystems on the national forests; and restore and improve land health and water quality”. 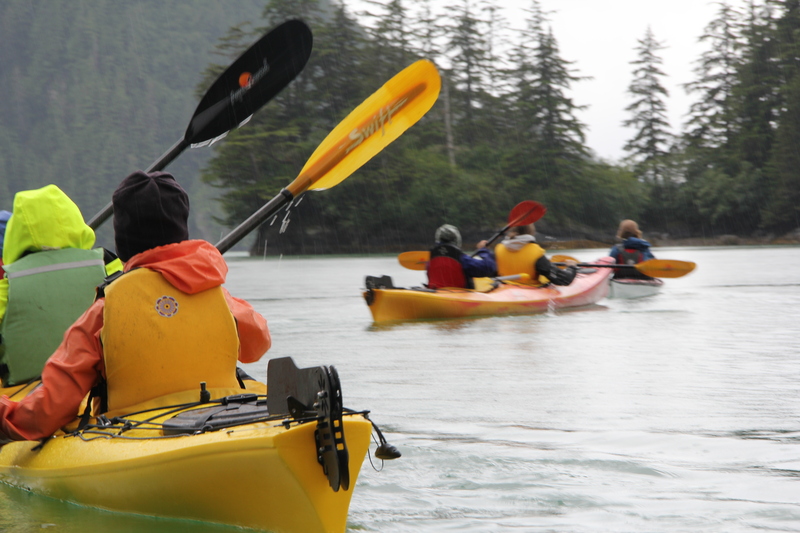 The Lynn Canal/Icy Straits RAC includes Hoonah Ranger District. The committee welcomed the Kennel Creek project proposal whose outlined goals were to restore wildlife habitat in previously logged areas while developing local capacity for land management activities in the process. 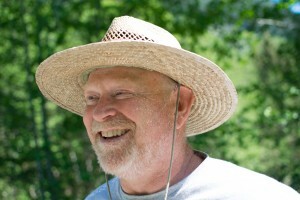 Bob Leuband is the crew leader. 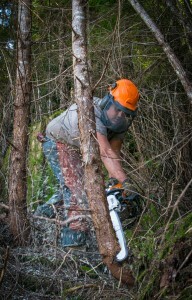 Here, he demonstrates the tree pruning techniques used to improve under-story forage for wildlife and encourage higher quality timber production. 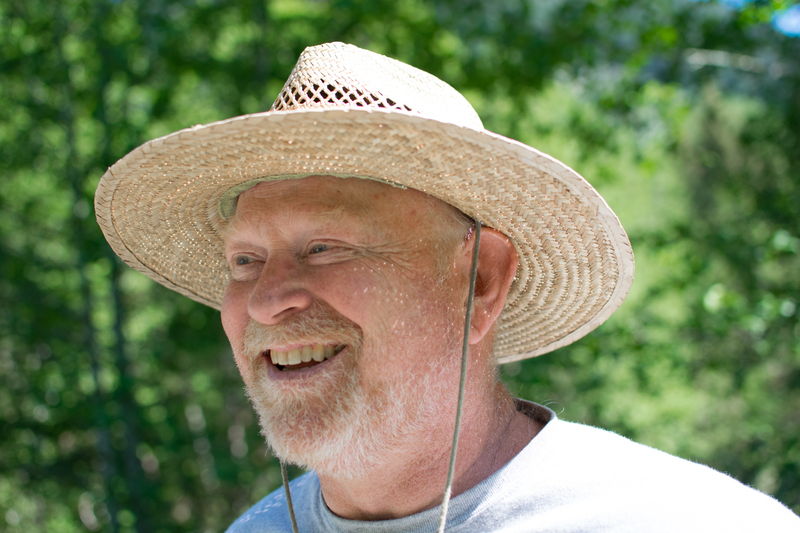 In 2011, Forrest Cole approved the RAC’s recommendation to fund the project at $235,000. Agency specialists would outline the prescriptions to be carried out, answer questions about the work and ensured restoration efforts emulate the best available science and expertise of the region. All that was needed was a local team who were dedicated to carrying out the work on the ground. 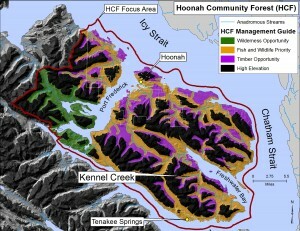 The Hoonah Indian Association (HIA) natural resources work crew was born. 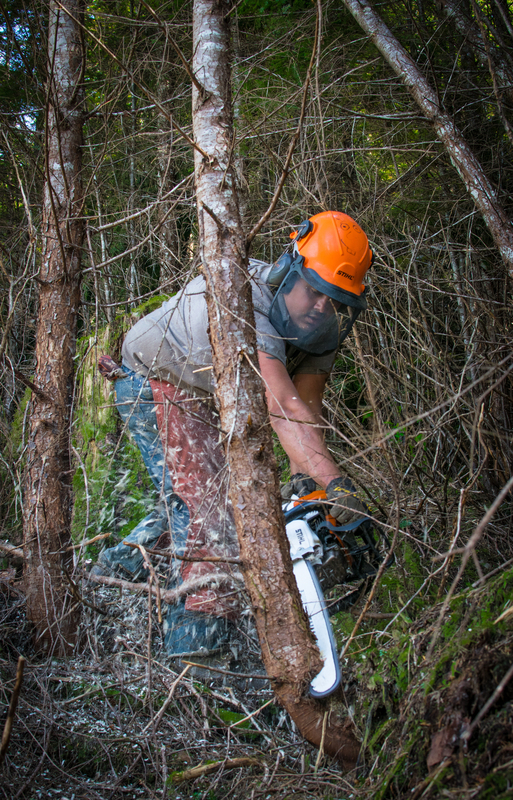 The work crew pruned dense second growth stands, pulling down dead branches to allow sunlight to reach the forest floor and grow understory vegetation for wildlife. Where thick impenetrable layers of woody slash blanketed the forest, the crew cut trails to improve the permeability of these stands for wildlife. 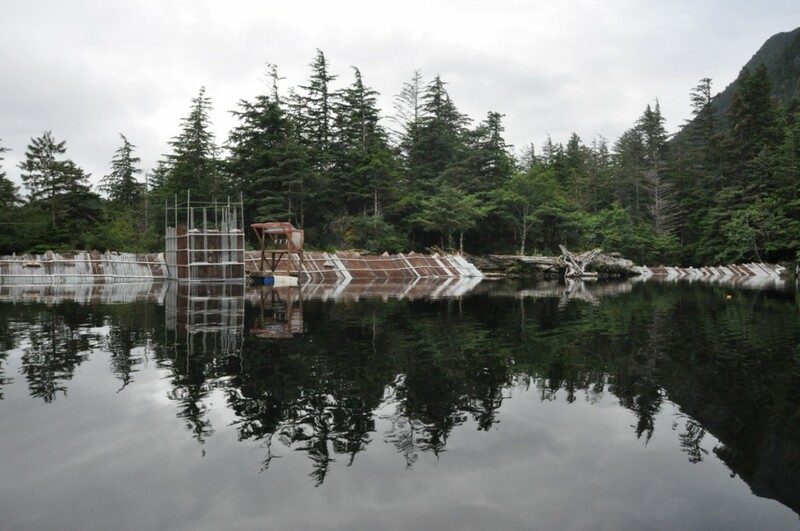 The project was completed in 2013 and received a gold star of approval from Chris Budke, USFS Forestry Technician who provided contract oversight and general support to the crew. But how does one actually evaluate project success and measure the benefits of a project whose goals included building local capacity for resource management? Start by asking the people involved. The sharing of knowledge is reciprocal. The crew learns from the USFS and the USFS learns from the community crew. While the USFS seeks to better engage with native interests and integrate community priorities and knowledge into project design, the thinning crew integrates the best available science into an existing place-based knowledge that spans generations and centuries. Leuband and Hillman sit in the corridor the team cut through dense piles of slash to improve navigability for wildlife. Both emphasized the significance of keeping natural resource management locally rooted. The crew has secured thinning, wildlife treatment and pruning contracts with the USFS, Huna Totem and SEALASKA. The application of their experience and knowledge is thus truly integrated across public and private lands and scaled at the landscape level. 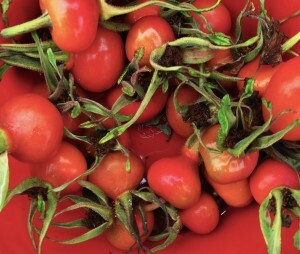 Currently, the crew is applying for an NRCS grant so they can continue to grow, potentially expand with a second crew and advance their toolkit to include salmon habitat restoration and enhancement activity, road maintenance and projects to enhance the cultivation of non-timber resources, like berries, for a growing cottage industry. The crew is also improving their capacity for monitoring and the adaptive management of their work. With a second crew, the group could grow to an employment base of 20 people. This is significant to a community of less than 800 residents especially because a healthy demand for work is promising job security and room for future growth and expansion. 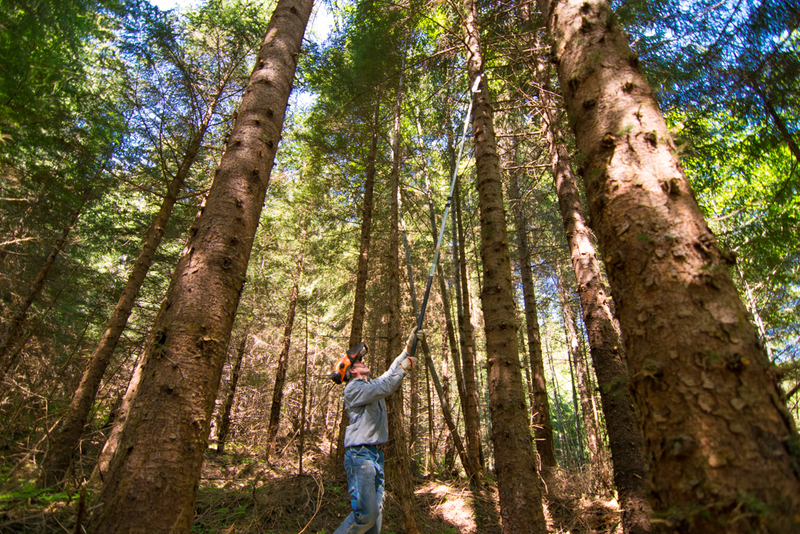 Matt Gonzalez carries out a pre-commercial thinning contract on SEALASKA land. The crew takes a truly integrated landscape approach to resource management, carrying out prescriptions on both public and private lands. 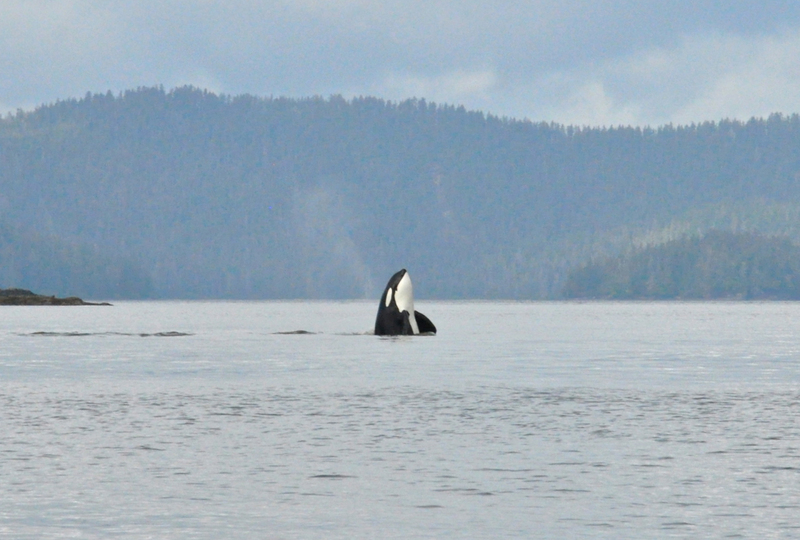 Moving forward, what does the case of Kennel Creek mean for the Tongass? Accomplishing the transition to a holistic forest approach that includes young growth management will require continued silvicultural and wildlife treatments combined with the restoration of previously damaged watersheds. Kennel Creek serves as a template for accomplishing these goals by leveraging the funds and partnerships necessary for effective, locally-rooted, landscape level stewardship. Encouraging and stimulating local natural resource management ensures that work carried out on public lands more clearly reflects community priorities. By supporting local work crews, the USFS and its partners also keep the knowledge and nuances of natural resource management local. In this way, natural resource managers can continually learn from projects, iteratively evaluate techniques and adaptively manage our public lands. As the Tongass enters the first generation of actively managing young growth forest stands on a large scale, strengthening the capacity for adaptive management will prove more and more critical. .
By encouraging community-based resource management we also support local stewardship of public lands and stimulate job formation in rural communities that need sustainable natural-resource based economies. 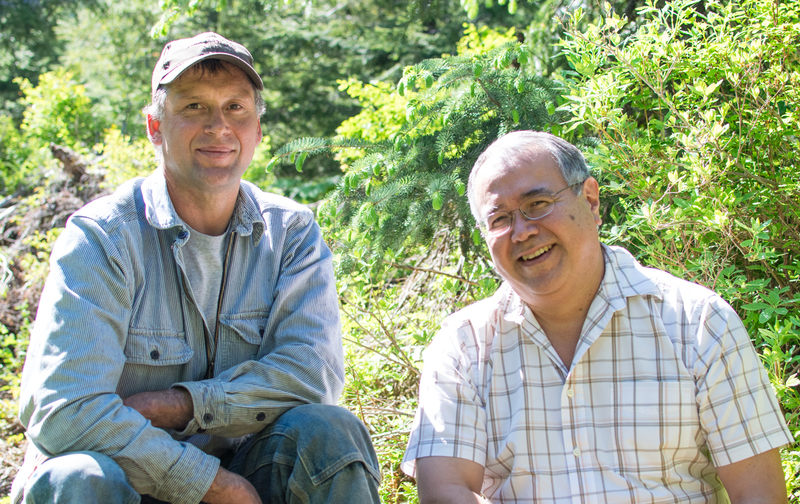 The Tongass Transition seeks to better align forest management with community priorities while striking a balance between local economies, ecological integrity and cultural well-being. Stories like Kennel Creek are empowering examples of how the USFS can work with communities, local tribes, and village and regional corporations to turn these common goals into a reality. Mary Wood helps 4-H members get settled into their kayak before going on the water or the first time. As the kids helped load the kayaks and safety equipment into the car, they complained the day’s activities had not been long enough. Their grumbles continued in the van all the way back to town as they begged Alaska Way-of-Life 4-H leader, Mary Wood, for more time on the water the next day. They only had one day left in their kayaking course, the last 4-H class of the summer, and they were not ready for it to end. “They are developing a love and a passion for this place and that will have an impact on them,” Wood says about the Alaska Way-of-Life 4-H program. From kayaking to gardening to fishing to cooking, her goal is to help the kids appreciate the beauty of their own backyard and grow up knowing they want to protect it. The Alaska Way-of-Life 4-H program was started in Sitka three years ago with a push from Andrew Thoms, executive director of the Sitka Conservation Society. Thoms knows that he came into conservation work because of his own experiences with 4-H growing up. Thoms came to Sitka 10 years ago and has been dedicated to building more community-driven programs here. The 4-H program is just one part of that vision. “We are helping to start 4-H, but for it to continue, it has to have people that are passionate and build the program themselves,” Thoms says. Part of creating a sustainable community is teaching children to use and respect their environment. Subsistence skills like harvesting berries, fishing, and hunting are all a part of life in Sitka, a community of about 9,000 in the heart of the Tongass National Forest. Thoms wants kids to grow up learning how to best use their environment, respect it and protect it. That’s the Alaska way of life. But, 4-H can prepare kids for careers and opportunities outside of conservation also. Alison Mazzon volunteered with the Alaksa Way-of-Life 4-H program this summer while she visited Sitka on a grant from Patagonia, the company she now works for. 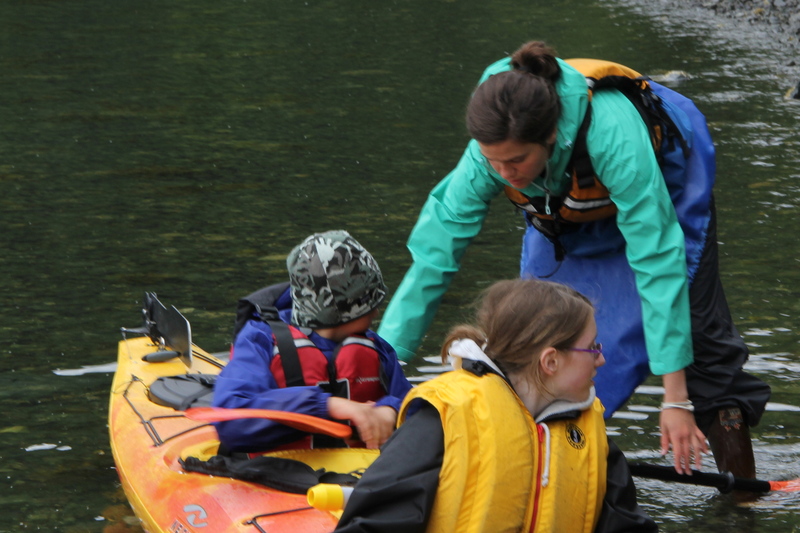 While in Sitka, Mazzon helped chaperone the kayaking classes and taught classes on outdoor gear maintenance. Mazzon grew up in Ohio and learned to sew at her local 4-H program. From her first project of a pair of shorts to designing and making her own prom dresses, she gained more than just the ability to make to her own clothes and several state-level awards from her 12 years in 4-H. Mazzon says she is grateful to 4-H for the friends she made and the leadership skills she gained. And, like Thoms, Mazzon took her 4-H skills to her career. After studying fashion design in college and working for a few years on the runways in New York City, Mazzon is currently a technical design manager for Patagonia and is part of the team that make high-performance outdoor clothing and gear. “I don’t know what I would have done with my life otherwise,” she says. Just a few short weeks after their kayaking adventures came to an end, the 4-H crew took to the beach and learned fishing skills as their first class of the new school year. In addition to these classes, the kids will also do community service projects, an important aspect of building a sustainable community, Wood says. For example, the kids make jams and jellies for the senior center. She says it teaches the kids a valuable skill and gives them a chance to connect with older generations. One of Wood’s favorite memories of her time leading 4-H is from last year on Earth Day. She had brought a group of students out to a local hiking trail to do some trash clean up. She expected the kids to complain – spending a day picking up garbage not the ideal way to spend time for 9-year-olds. But, the complaints she got were not what she expected. They were upset that at how much trash they had collected. How could so much litter be found in their home? Going on her second year in Sitka, Wood has big plans for the 4-H program. She is excited to start building a wider group of volunteers and seeing more kids join the program. She also wants to develop more classes for high school students, as the majority if the activities over the last three years have been for ages 5 – 10. Whether the kids are learning to make jams with the berries they picked for elders in the community or learning important outdoor skills for kayaking and hiking, the Alaska Way-of-Life 4-H program is about creating a strong community that exemplifies social, economic, and environmental sustainability. Those Alaskan ideals, and the ideals of 4-H, are seen as intertwined for SCS and they last across generations. 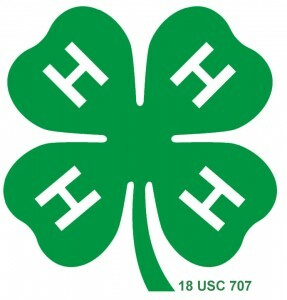 To learn more about 4-H in Sitka and upcoming classes and events, email Mary Wood at mary@sitkawild.org. Early last month, when the tailings dam at the Mount Polley Mine in British Columbia breached releasing 10 million cubic meters of contaminated water into Polley Lake and Quesnel Lake, southeast Alaskans woke up to the possibility that other BC mines could pose the same threats to southeast Alaskan fisheries. Tailings dams are built to hold the waste rock that is extracted from ore during mining. These toxic tailings are often stored under-water and the dams are built to keep the waste from spreading to the surrounding environment. Because the waste rock can be so harmful, tailings dams need to be maintained forever. The tailings dam at Mount Polley Mine was only 14 years old. As more new mines are built along the BC and Alaska border, Alaskans now know the risks mining accidents pose to the people and ecosystems sitting downstream. And they can do nothing to protect themselves. Mining has been a part of the British Columbia economy for more than 9,000 years, since First Nation peoples first started trading obsidian. When Europeans arrived in the 19th century, mining took on a more prominent role and there are no signs of activities slowing down. BC premier Christy Clark promised to bring eight mines in four years to the province when she was elected in 2011. With the recent completion of the Northwest Transmission power line up the western border of BC, it looks like she can make good on her promise. The first mine to make use of the new power line is the Red Chris Project, which is set to begin operations by the end of the year. The Red Chris Project tailings dam is located near the Iskut River which is one of the main tributaries of the Stikine River – the largest river by volume in the Tongass National Forest and one of the largest producers of salmon. The tailings dam at Red Chris is set to be 330 feet high and needs to hold 183 million tons of toxic tailings. The mine will process 30,000 tons of ore per day for 28 years, according to owners, Imperial Metals Corporation. The Imperial Metals Corporation is the same mining company that built the Mount Polley Mine. All of the proposed mines will process tens of thousands of tons of ore per day with the largest mine, Kerr Sulphuretts Mitchell (KSM), set to process 120,000 tons of ore per day for 52 years. Most of the proposed mines will be in operation for less than 25 years. And, the Red Chris isn’t the only mine threatening southeast Alaskan watersheds. The major salmon-producing watersheds in danger from the new mines are the Stikine, Unuk and the Taku. 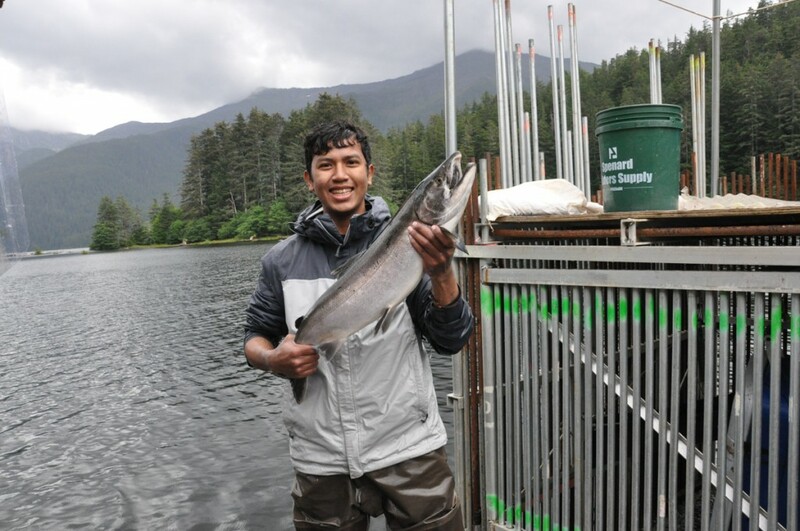 Commercial and sport fishing are a $1 billion industry in southeast Alaska and salmon is also important for tourism and subsistence in the Tongass. Should a tailings dam breach or another mining accident occur, these watersheds and southeast Alaskans that depend on them will bear the brunt of the risk. 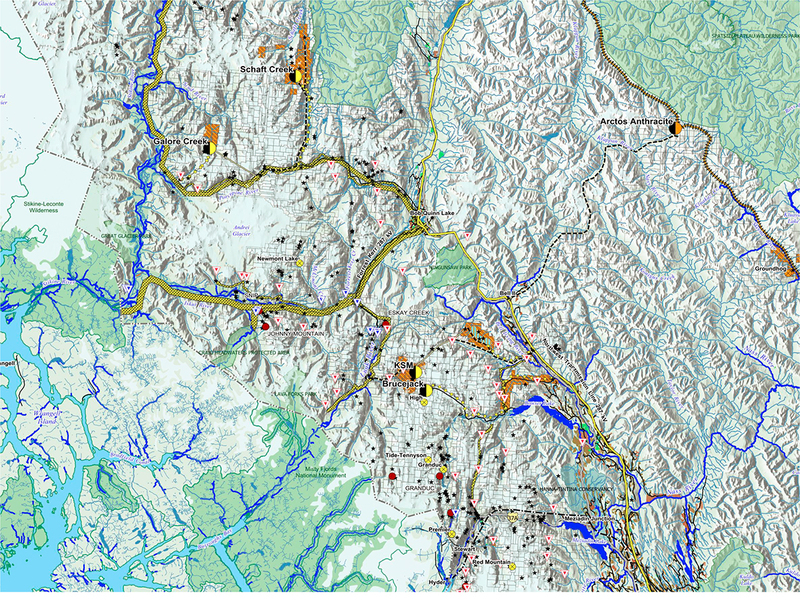 Map showing the proposed mines in the Unuk and Stikine watersheds provided by Rivers Without Borders. 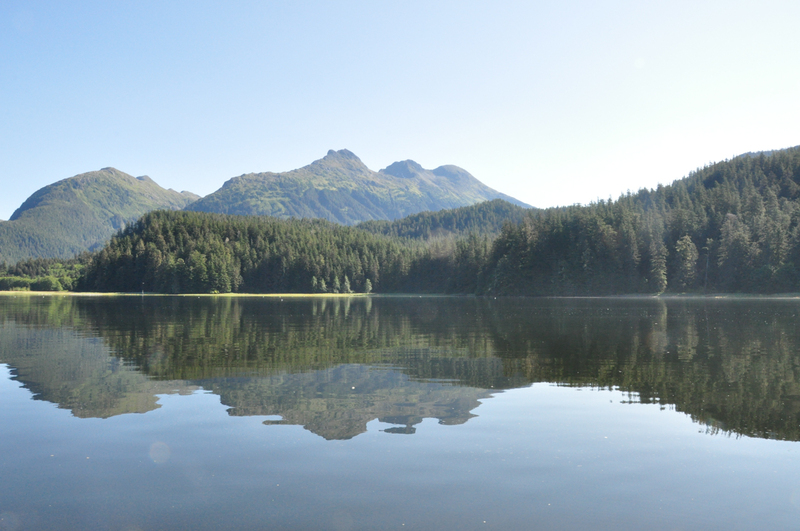 Alaskan senators, fishermen, conservationists and natives alike recognize the risks these new transboundary mines pose for southeast Alaska and the livelihood of the Tongass National Forest. But, because Canada is the sovereign country, southeast Alaskans have no way to protect themselves from the dangers upstream. The Boundary Waters Treaty places responsibility for any pollution in Alaskan waters from the mines on Canada, but little is required for pre-emptive action to prevent the pollution from ever occurring. And it’s not just a major catastrophe like what happened at Mount Polley that Alaskans should worry about. Dust from the mines could smother salmon eggs. Leaking chemicals could kill salmon foods sources. Increased copper in the water is believed to impair fish hearing and make them less able to avoid predators. All of these side effects affect the survivability of the salmon before a major accident happens. The Tongass National Forest is the largest in tact temperate rainforest in the world. The forest is home to about 70,000 people that all depend on the healthy and sustainable fisheries found here. Salmon is a part of the Alaskan way of life. From commercial and sport fishing to subsistence, the five species of Pacific salmon are a lifeline for the culture and people. As the FDA continues to test the limits of genetically modifying fish and more and more farmed fish make it on to American plates, we should be fighting harder to protect what wild and sustainable fisheries this country has left. Fish that can grow bigger and fatter faster pose unforeseen threats to American health and only fulfill the wasteful desires to always have excess. Fresh, wild fish should not be the delicacy, but the norm. And finally… Alaska is America’s last frontier. We are a nation of explorers, of entrepreneurs and innovation. Part of that identity comes from the wilderness within our borders, the adventure that can be had in our own backyard. But that wilderness is quickly disappearing and these mines might destroy the little that Alaska has left. America needs wildness and should fight hard to protect it. 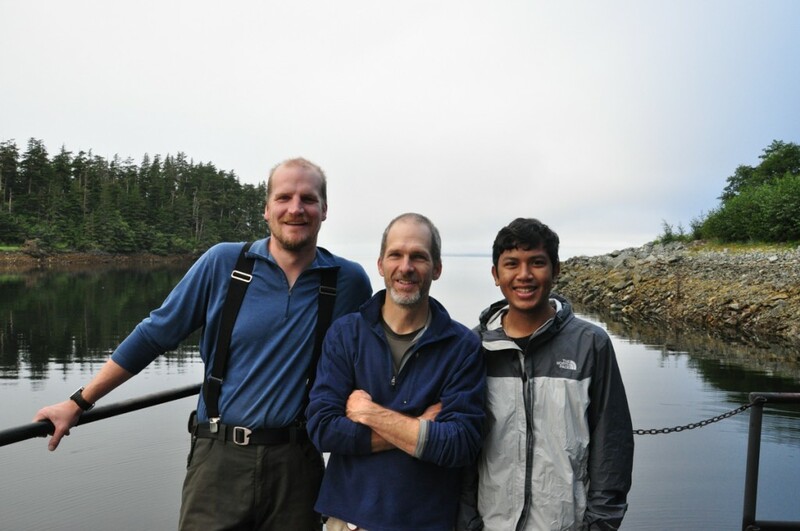 Almost three months have already gone by since I started my internship with the Sitka Conservation Society, under the supervision of Scott Harris, the Conservation Science Director at SCS. It is now the start of September and I cannot believe how fast time flies by when I am truly enjoying my eye-opening opportunity. It still feels as though only yesterday I landed in Sitka Rocky Gutierrez Airport. Nowadays waking up every morning to rhythmic pulses of the rain droplets and the fresh aroma of the soothing ocean breeze has become a part of my daily life. Adventure into the West Chichagof-Yakobi Wilderness. Along with the overwhelming invasion of nature in my life, I also get a chance to spend the majority of my time here in the largest national forest in the United States at 17 million acres. The Tongass is one of the last few forests untouched by industrialization and remains as the largest temperate rainforest on earth. The forest encompasses part of the Northern Pacific coastal forests along with the Central and North Coast regions of British Columbia. Due to its vast size, the forest hosts a number of various types of trees: western red cedar, sitka spruce and western hemlock. The forest is also home to five species of salmon, brown and black bears, and Bald Eagles. A pink salmon swims upstream to spawn. My days at Sitka are often filled with a variety of outdoor activities- all of which have constantly kept me marveling at the great nature I am surrounded by. 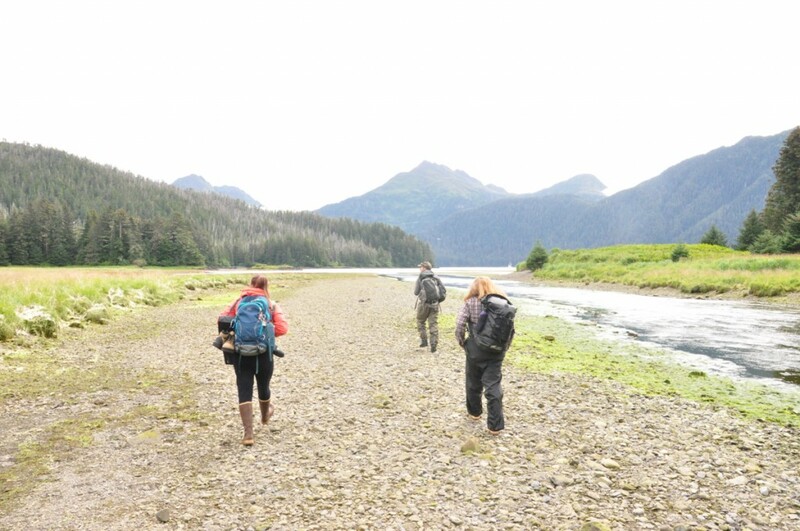 From hiking up mountain trails to kayaking upstream against the swift tides, my internship projects have led me to explore different parts of the Tongass while having the opportunity to meet other biologists, conservationists, and interns. One of my projects involved monitoring a conservation and restoration project implemented by the U.S Forest Service (USFS) in the Starrigavan Recreational Area. I am conducting vegetation surveys in these forest gaps and collecting data from trail cams to monitor deer activity within the gaps for tagging purposes. The workers of the USFS cut oval forest gaps with an area of 100 ft in diameter to mimic natural disturbances in the forest. The purpose of this is to encourage the growth of shrubs and ferns, which are another type of food sources for deer and bears. Starting since the 1950s, a significant percentage of the big trees (old growth) in the Tongass were logged and when the second generation of trees grew, they left little space for sunlight to reach to the ground. Thus, without these gaps, the growth of shrubs and ferns will decrease, thereby lowering the food sources for the deer, which may lead to a decline in the deer population in the future. Within the gaps, there are also deer enclosures to monitor how deer foraging affects vegetation growth. Picturesque view of Nakwasina Sound. From the peaks of the mountains to where streams meander across the landscape, my weekly duty takes me to a stream that flows through the community of Sitka. Once a week I would ride my bike down to Indian River to collect water samples from the river. According to the protocol, I would filter the water from the river and pour them into two sampling bottles. The Sitka Conservation Society is a part of SALMoN (Southeast Alaska Long-term Monitoring Network) and participates in the Global Rivers Observatory (GRO). GRO documents water chemistry from rivers around the world in order to understand long-term ecological changes to freshwater ecosystems. To document the water chemistry, GRO analyzes nutrient concentrations, dissolved organic carbon, and the isotope ratio of strontium. Local streams such as Indian River will be studied alongside the great rivers such as Amazon, Yangtze and others. The program started when Dr. Bernhard Peucker-Ehrenbrink, a Senior Scientist at the Woods Hole Oceanographic Institute and one of the founders of GRO was a Scientist in Residence at the Sitka Sound Science Center. My days often began with journeys packed with wilderness adventures. I went on a five day camping trip to West Chichagof-Yakobi Wilderness which is located about 55 miles away from Sitka and it takes around 3 hours to get there by boat. This trip by far is the longest period of time that I’ve been out camping. The purpose of this project is to install temperature loggers into five different streams in order to monitor the health and the quality of the stream waters. To arrive at some of these streams, we had to bushwhack through the forest while making noises to alert the bears. Some trails were challenging and tedious with rugged and slippery mud-covered grounds but they were all fun. Once we’ve reached the streams, we conducted a variety of analyses such as installing temperature loggers and recording the stream width. We also measured the flow of the streams and noted down the dissolved oxygen levels. While performing these tasks, it was fascinating to see thousands of salmon fish swimming up these streams, their silvery scales reflecting the sunlight underneath the clear water. The end of each day was an even bigger adventure for me since we would move from one campsite to the next. Before the sun sets, we would spend about 30 minutes, cruising around the ocean in our boat, searching for a safe spot to camp. We camped on different parts of the forest each night and got to explore the wonders of the old growth wilderness in the dark, quiet night. 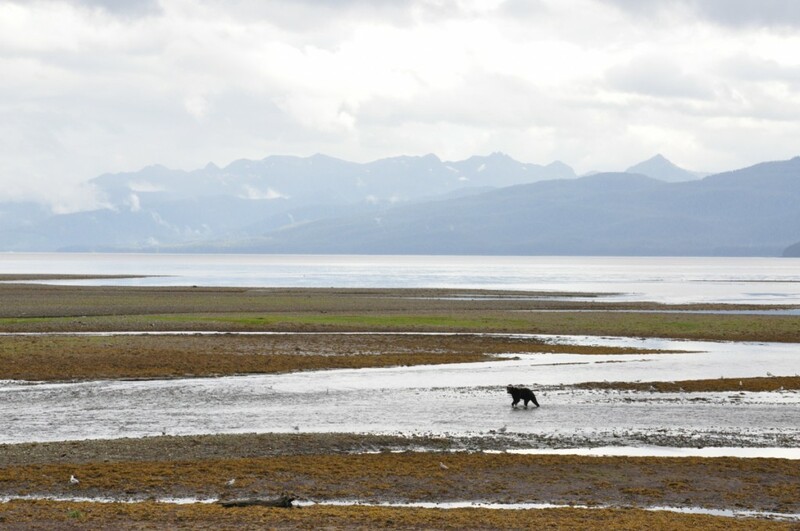 A brown bear lurks across the tidal flat. From sampling streams, my internship has also taken me to Redoubt Lake, a unique meromictic lake where its top layer is freshwater with several hundred feet of saltwater on the bottom layer of the lake. Going to Redoubt was a whole new experience unlike anything before at Sitka. Not only was it the longest camp trip, it was also riveting to be at Redoubt Lake where I had a chance to work with the Forest Service. Located about 12 miles from the city of Sitka, Redoubt Lake plays an important role in the subsistence fisheries for the people of Sitka. 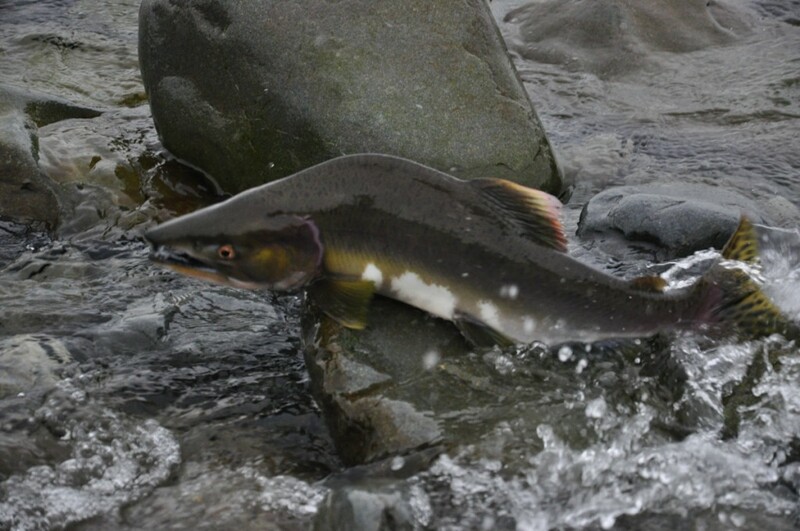 The Forest Service maintains a weir system to count and record the fish entering whereafter the Alaska Department of Fish & Game makes management decisions based on the data collected each season. Once the fish pass through the weir, they head up to the northern tip of the lake and travel up streams to spawn. Through out the process, I witnessed the physical transformation of these iconic fish. Their bodies become bright red and the male sockeyes’ heads morphed into sharply hooked noses with gawking teeth. They nipped and bit at one another, fighting to reproduce for the first and the last time, before they lie lifeless beneath the streams. It definitely was a biological process worth observing. Holding a Coho at Redoubt weir. 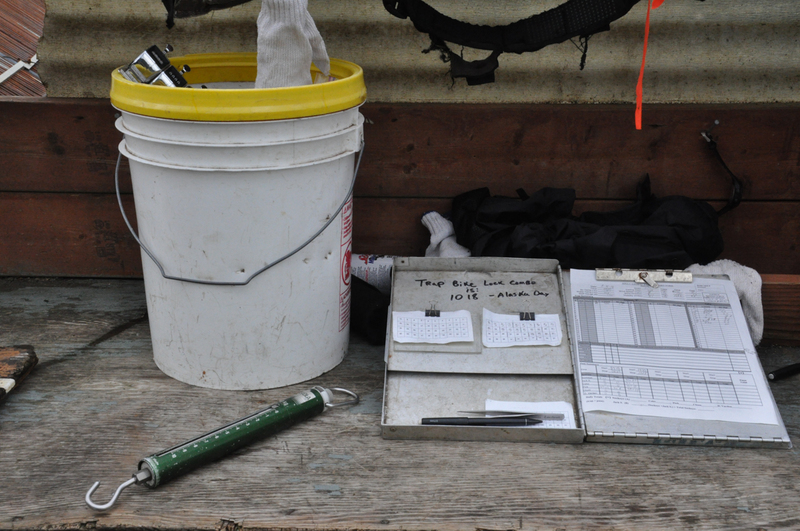 Work station for sampling fish at the Redoubt weir. With large amount of ocean surrounding the island comes the freshest seafood. The most important resource of Southeast Alaska is salmon. There are five different types of salmon here: king, sockeye, coho, chum and pink salmon. Here, salmon is fished for industrial purposes and plays a major role in sustainable fishing as well. Out of the five different types of Salmon, I have already tried three of them, which are King, Sockeye and Pink. The two that I haven’t tasted yet are Coho and Chum. Most people here prefer the King and I have to agree with them on that. I also got a chance to try deer meat, which tasted like beef but leaves a trace of gamey palate in your mouth. Despite the nature explorations that were required for work, I also had a chance to enjoy the beautiful picturesque landscape of Alaska. The town of Sitka is small with a population of 9000 people, yet it is lively and vibrant with esthetically decorated small vendor shops. Sitka is surrounded by the sounds of clashing waves and mountains varying in heights. During my leisure time from work, I went on hikes on the mountains with friends and enjoyed stunning landscapes from the peaks of the mountains. Along the way, I met other interns and co-workers who were passionate about conserving the natural beauty that the Tongass has to offer. View of Crescent Harbor in Sitka, Alaska. Chris Leeseberg, Scott Harris and I at False Island. On the 28th of August, I completed my internship with the Sitka Conservation Society and had the opportunity to gain hands on conservation experience that I have longed for. Within the past three months, I learned so much about the importance of conservation methods, and my internship gave me a chance to work with land managers who are working on making important conservation decisions. I learned new research and conservation approaches and methods as well as the importance of social outreach to the community for our conservation works. Overall, this internship has given me invaluable knowledge and taught me to have even more respect for the beautiful wilderness and the natural wonders of the earth. This was truly an eye opening experience and certainly, one that I will never forget. 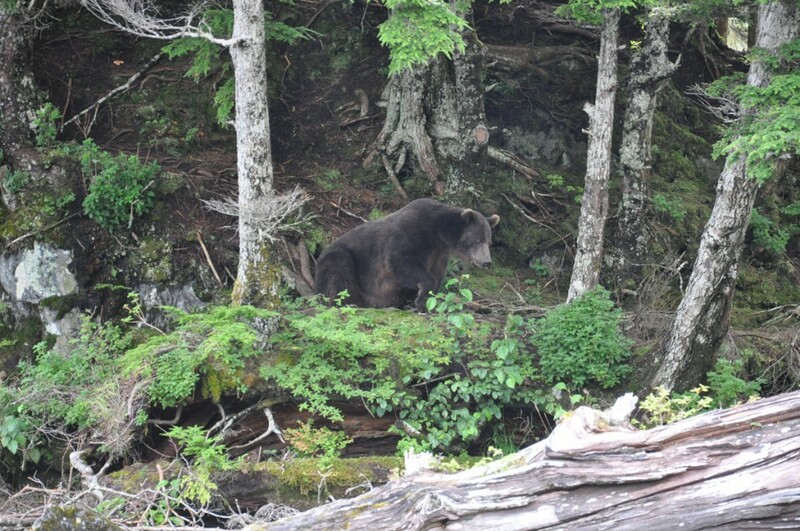 One of the remarkable inhabitants of the Tongass. The Alaska Way of Life 4-H project had a fun summer of gardening, exploring the forest and beach, listening to birds, kayaking in the Sitka Sound, and learning how to sew; all while creating a sense of belonging among new friends in Sitka! This fall we will get dirty harvesting Sitka’s Wild Edibles and learning some basic food preservation skills. Did you know? SCS’s Alaska Way of Life 4-H project is part of the community wide Sitka 4-H Club! 4-H in Sitka is turning a new leaf! We seek to build community through monthly general meetings. All 4-H members are required to attend these meetings. Our first general meeting is on Monday, September 15 at the UAS campus from 6:30-7:30pm. Each project will be introduced and give an update as to what they have going on with opportunities to get involved. What is 4-H? Check out the brochure link below! On Wednesday, Sept. 2, all schools in the Sitka public school system will be serving locally-caught fish! The school district will be serving fish every Wednesday this school year. 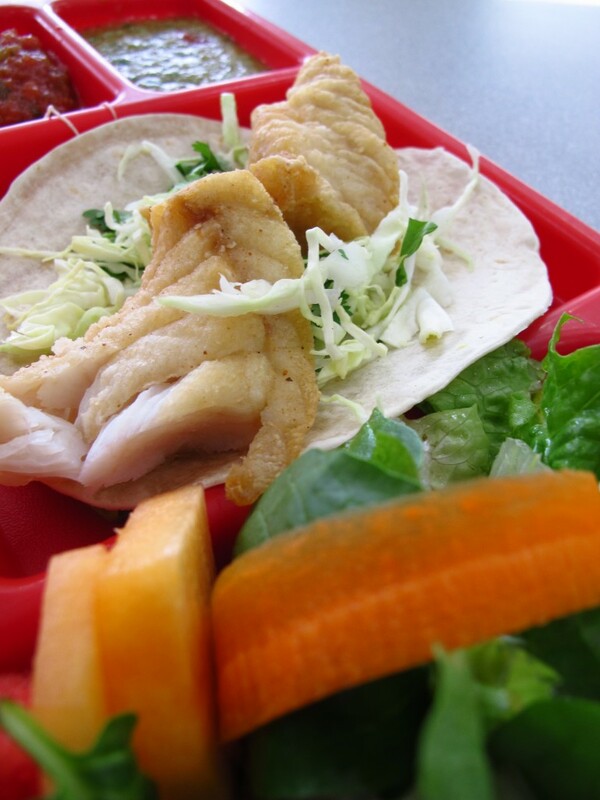 Sitka School District schools have been serving locally-caught fish in their school lunches for three years. But starting today, kids will be eating coho caught right in their own backyard every Wednesday! 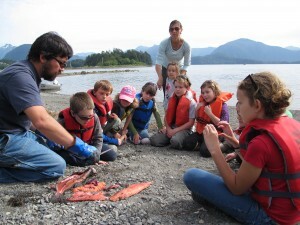 Fish to Schools was a brainchild of the fall 2010 Sitka Health Summit and a pilot program began in the spring of 2011 with Blatchley Middle School serving fish in school lunches once a month. Since that time, the program has expanded to become a state-funded initiative that brings locally caught fish into public school lunches all across Alaska. The Sitka Conservation Society has been an instrumental part of the program development, with Tracy Gagnon leading the charge. Gagnon said that they did not advertise as much for donations this year, but the support that came in was overwhelming. They received double of what they asked for in this year’s donation drive – 1,000 pounds of fish. With state funding, the Sitka School District will be able to start paying fishermen to have their catches served in school lunches. “Donating actual coho is so much more meaningful than writing a check,” Beth Short-Rhoads said. She is one of the coordinators of the Fish to Schools program. “It’s like giving time on the ocean, the excitement of landing a gorgeous fish, and the satisfaction of working hard for a way of life they love,” she said. Today, Wednesday Sept. 2, marks the first day of a fully year of fish lunches on Wednesdays. Lunches will be offered at Baranof Elementary, Keet Gooshi Heen, Blatchley Middle School, Sitka High School, Pacific High Schools, Mount Edgecumbe High School, SEER School, & Head Start. “There’s a certain poetry that people eat food from the lands and waters around them. In Alaska, that means fish caught fresh from the Pacific and not fried chicken from Kentucky,” Alaska House Representative Jonathan Kreiss-Tomkins said. My internship has also taken me to Redoubt Lake, a unique meromictic lake, where the top layer is freshwater with several hundred feet of saltwater on the bottom layer of the lake. Located about 12 miles from the city of Sitka, Redoubt Lake plays an important role in the subsistence fisheries for the people of Sitka. 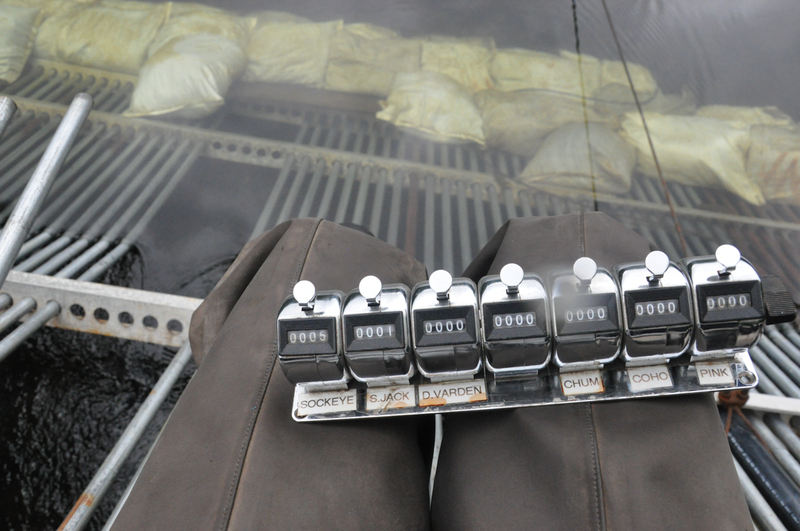 The Forest Service maintains a weir system to count and record the fish entering whereafter the Alaska Department of Fish & Game makes management decisions based on the data collected each season. The trap weir has a fish trap used to capture fish in order to weigh, mark, or otherwise handle them. Going to Redoubt was a whole new experience unlike anything before in Sitka. Not only was it the longest trip of my internship (a total of 6 days out in the field), it was also riveting to be at Redoubt Lake and to have a chance to work with the Forest Service. Throughout the entire trip, we lived in a small cozy cabin that is built on an island completely surrounded by water. Every morning, I was up by 6:30 and the day officially started off at 7:00. Through the quiet serene waters, we boated towards the weir, the morning silence broken by the Forest Service employees yelling, “Hey Bear” and the sound of the blow horn. 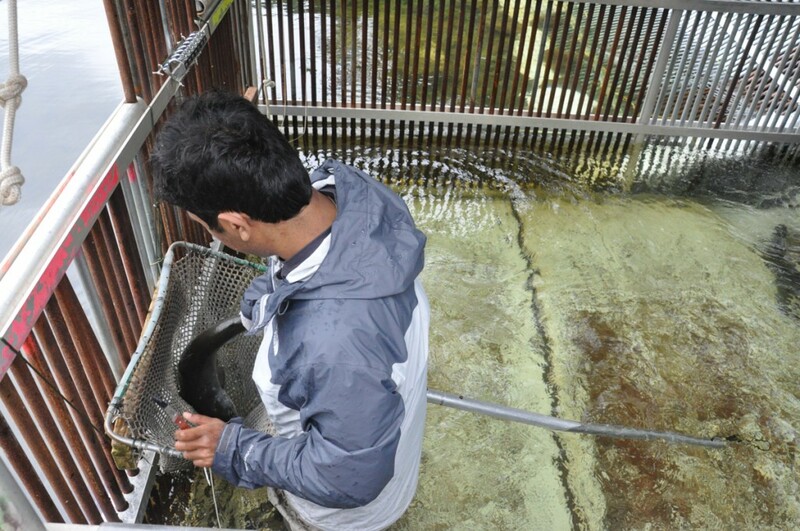 The Forest Service runs a mark and recapture study of sockeye returning to the stream. In addition we sampled the fish, which entailed weighing, measuring and collecting a scale sample. Marking the fish was quite a challenge but fun! Sitting at the weir and counting fish as they pass through was quite an experience. It was fascinating to see thousands of salmon swimming up these streams, their silvery scales reflecting the sunlight underneath the clear water as they fought against the downstream currents. While there was a feast of action packed beneath the waters, the above grounds were active with local dip netters at the outlet of the lake and hungry bears that roamed around the surroundings. One day, as I was sitting at the weir and counting fish with Janelle Horstman, a Forest Service employee, a bear snuck up to the end of the weir. It was a chilling experience, yet quite incredible to see a wild bear within 20 feet. With the gush of rapids pouring out at the outlet, I barely heard the bear coming down from the island. It made me appreciate the rugged beauty and graceful movement of these magnificent grizzly bears. The method of counting fish as they pass through the opening at the weir. A bear lurks around in search of food near the weir. Once the fish pass through the weir, they headed up to the northern tip of the lake and traveled up-stream to spawn. Throughout the process, I witnessed the physical transformation of these iconic fish. Their bodies became bright red and the male sockeyes’ heads morphed into sharply hooked noses with gawking teeth. They nipped and bit at one another, fighting to reproduce for the first and the last time before they lie lifeless beneath the streams. It was definitely a biological process worth observing. The scenes at Redoubt Lake were pretty mesmerizing. The sight of glassy black pearly water reflecting the clouds above and nearby mountains created a dreamy ambiance. The sounds of nature and refreshing ocean breeze swirled around the lake, creating a perfect blend of serenity. 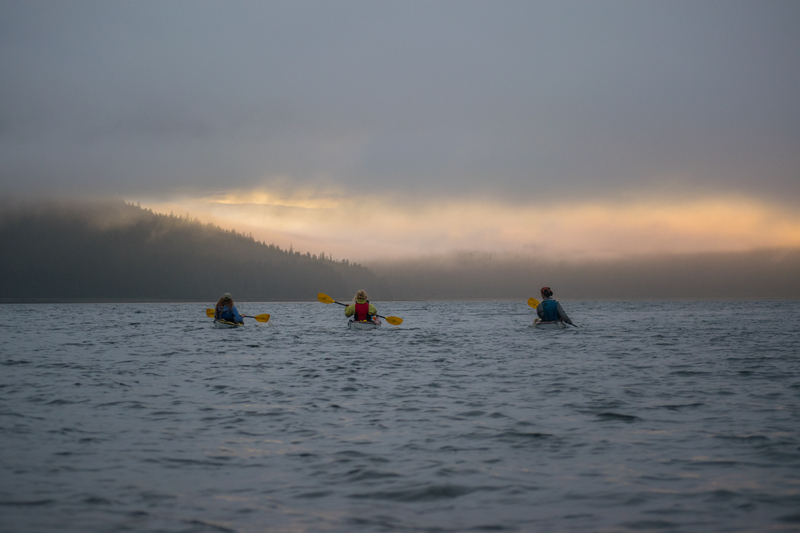 With its picturesque landscape and its importance to the subsistence fishery of Alaska, Redoubt Lake is definitely one of the most precious landmarks of the Tongass National Forest. The beautiful view of Redoubt lake from the weir.